A stunning vintage 18kt white gold ring featuring 1 round brilliant cut diamond, est. 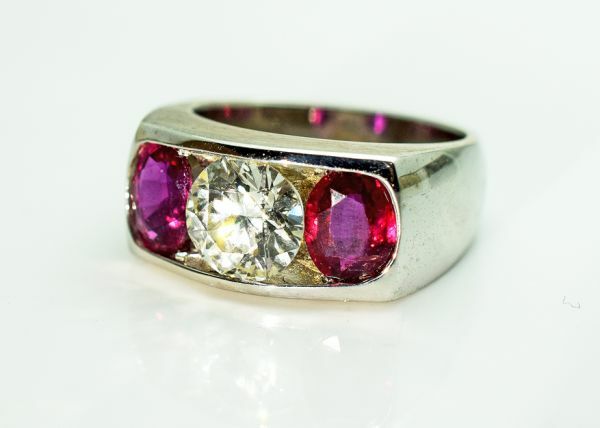 1.79ct (VVS2 clarity & J colour) and 2 oval faceted cut deep red pinkish-purplish rubies, est. 2.04ct. 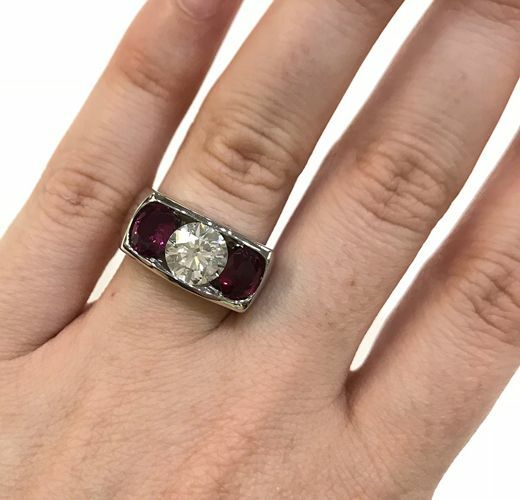 Please make an appointment to see this stunning ring.